Hailed by Gramophone as a “singer to be watched”, Rodney Earl Clarke is recognised for his versatility in performance. At home with the music of 1930-1960 Broadway, Rodney has appeared in many shows including Carmen Jones at the Royal Festival Hall, London, Jude Kelly's award winning production of Bernstein's On the Town, Kenneth Branagh's epic film version of Mozart's The Magic Flute, Sondheim’s 80th Birthday Celebration Prom, The Broadway Sound BBC Prom with the John Wilson Orchestra, Jake in Gershwin’s Porgy & Bess under the baton of Sir Simon Rattle and Crown in Porgy & Bess under the direction of John Doyle with the Royal Danish Opera in Copenhagen. He starred in Raymond Gubbay's popular show Crazy for Gershwin which regularly toured the UK and also performed many times on BBC Radio 2 Friday Night is Music Night recently alongside Michael Ball, Gary Williams and Hannah Waddingham. He starred alongside Denise Van Outen, Kimberley Walsh, Kerry Ellis, Michael Xavier and Michael Simkins playing the role of Big Daddy in the Cy Coleman, Dorothy Fields, Neil Simon musical Sweet Charity. This semi staged performance was directed by Paul Foster, choreographed by Matt Flint with the ArtsEd Ensemble and the Royal Philharmonic Orchestra conducted by Richard Balcombe. 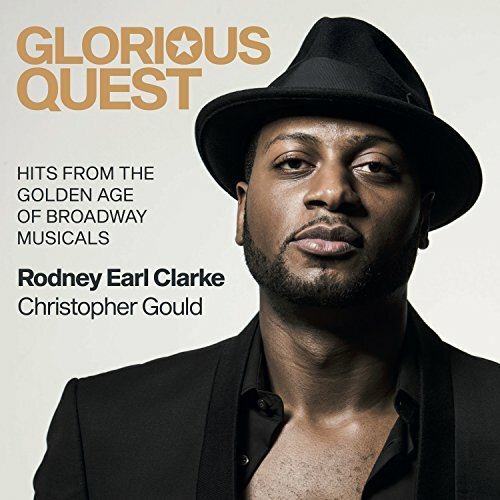 His debut album Glorious Quest received critical acclaim featuring songs from the golden age of Broadway Musicals accompanied by pianist Christopher Gould. Rodney travelled to Australia in 2014 where he performed songs from the Gershwin Songbook alongside Australian soprano Julie Lea Goodwin and the Adelaide Symphony Orchestra under the baton of Boston Pops Orchestra conductor Keith Lockhart. In 2015, he returned to Australia to perform the bass solos in Handel's Messiah at the Sydney Opera House with the Sydney Philharmonia under the baton of Brett Weymark. In 2016, he starred in an arena tour of West End/Broadway hits concert with the Czech Philharmonic under the baton of Keith Lockhart working alongside Louise Dearman, Marin Mazzie and Jason Danieley. Later that year, he sang the role of Crown in Gershwin’s Porgy and Bess with the Latvian National Symphony Orchestra in Riga.